I enjoyed this one, and I'm not always a fan of magical realism. 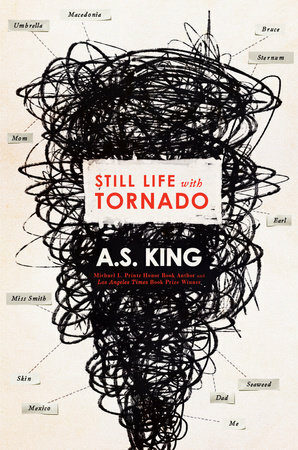 Of course, I almost always enjoy A.S. King! She has a middle grade book out I read recently. A. S. King has the magic realism touch. I'm not generally a fan, but in her hands, it works. When I finally get to come up for air, I will look for this book. I think King, herself, thinks of it more as surrealism than magical realism. And, yes, I'd have to do some research to really get a handle on how surrealism relates to writing and the difference between it and magical realism.